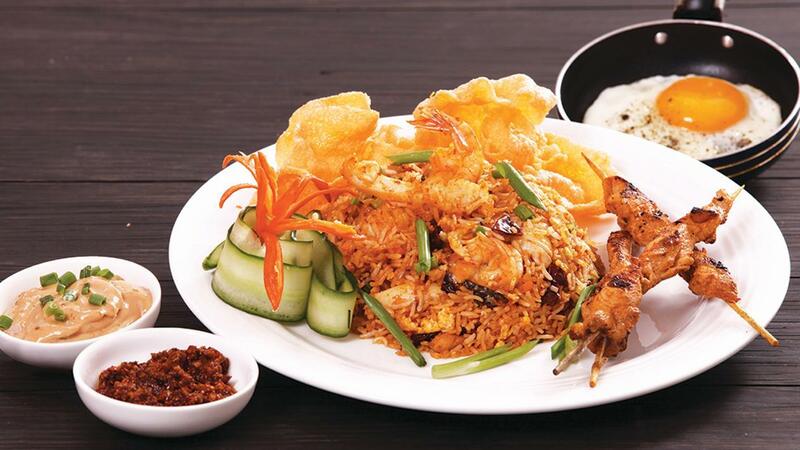 Nasi Goreng is an Indonesian meal including stir fried rice. Here is a simple version made by using Knorr chicken seasoning powder and our signature Nasi curry paste. See the recipe below. Heat the oil in a wok and fry the beaten eggs for few seconds; add ginger and garlic paste and fry well for another few seconds. Add the fried meats then onions, carrots and fry for another few seconds. Stir in the rice, dark soy sauce, chilli paste, nasi Curry Paste and Knorr Chicken Seasoning Powder and fry well. Add spring onions and fry for another few seconds. Mould into individual dishes and served with accompaniments.